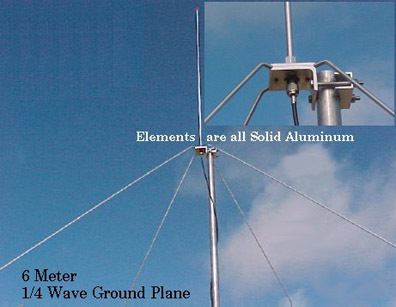 The Arrow GP52 is a quarter wave, 6 meter vertical antenna covering 50 to 54 MHz. It has a 4 MHz bandwidth with an SWR of less than 2 to 1. The antenna has an SO-239 termination (accepts a PL-259 plug, not supplied). The supplied U bolt type bracket attaches to a mast (not supplied). 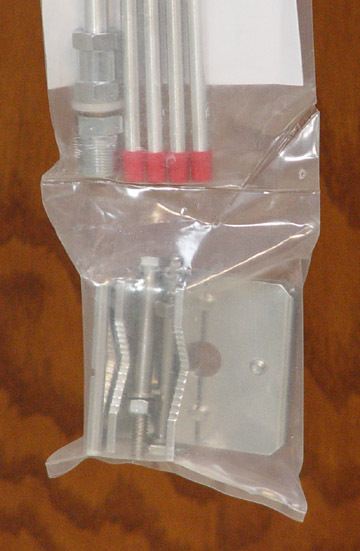 This heavy duty antenna has a 3/8 inch solid aluminum main center and 1/4 inch solid radials. Click here to view package.